Relax on our intimate private garden terrace. 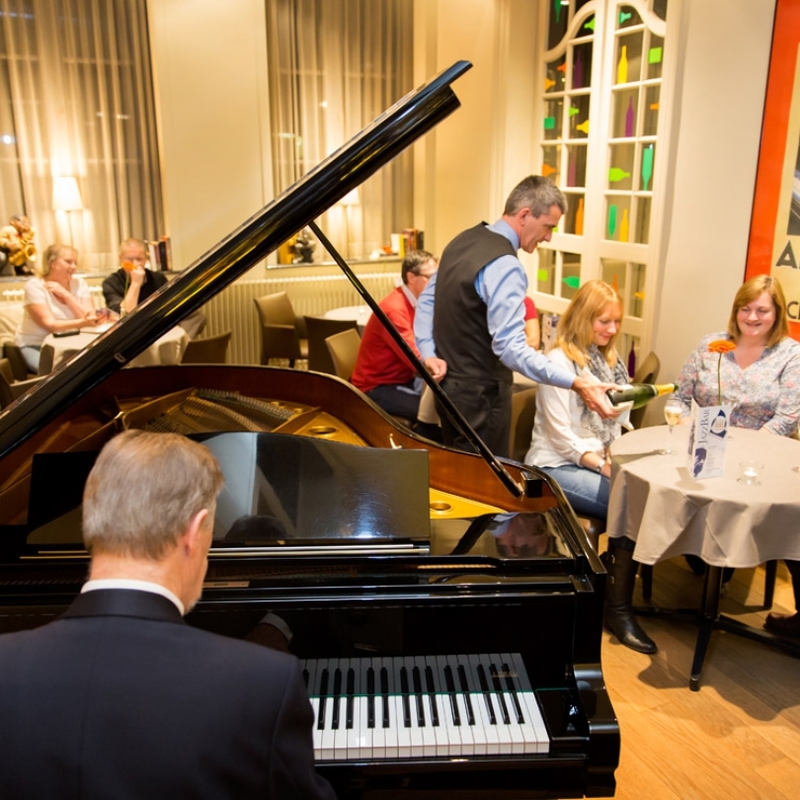 Have a relaxing drink at our pleasant hotel bar and enjoy some live background music. Or satisfy your appetite with our delicious small meals. 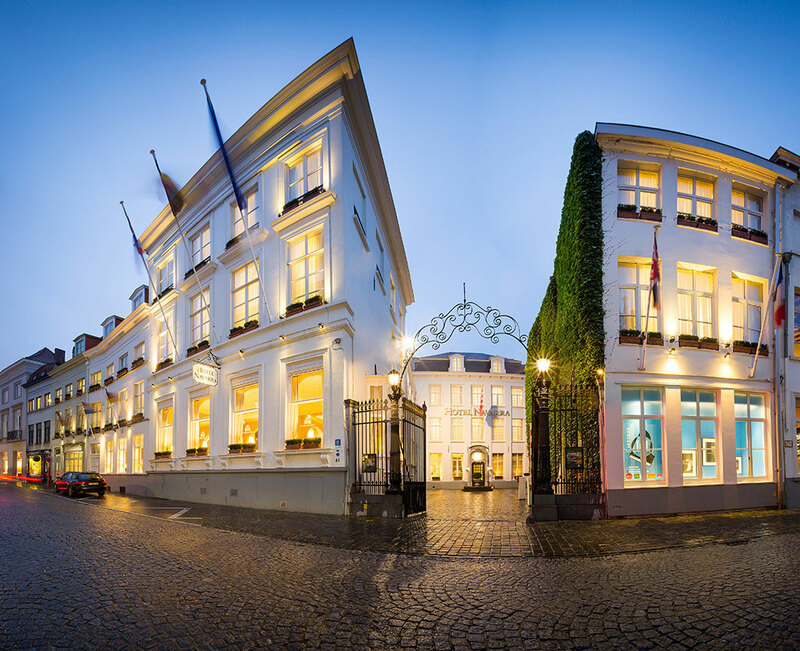 Hotel Navarra will make it all happen during your Bruges city break or business trip. Come and try our beautiful jazz bar and adjoining private garden terrace. 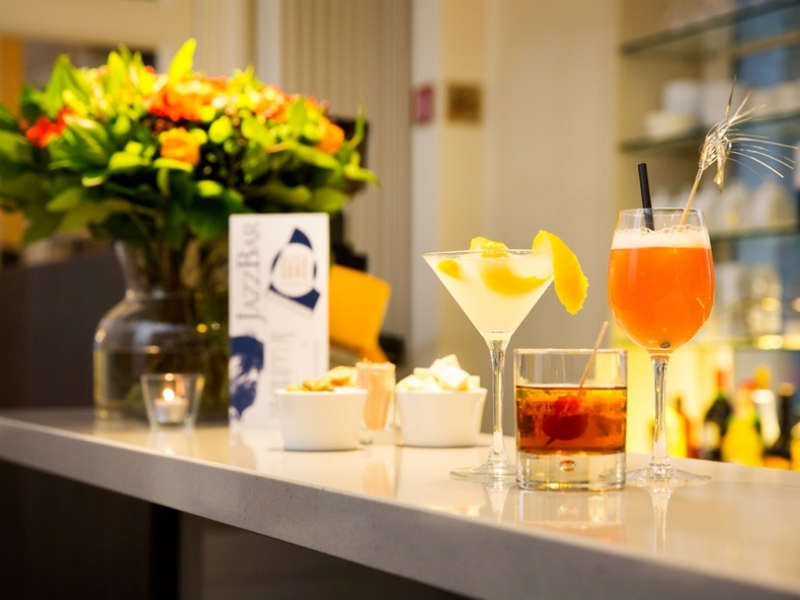 You can choose from a wide range of delicious drinks and snacks at the Hotel Navarra bar. Our friendly professional bartenders will offer you a wide selection of coffees and teas, fruit juices, beers, wines, champagnes, spirits, whiskeys, brandies, liqueurs, cocktails, long drinks and aperitifs. Order whatever tickles your fancy and our bartender will prepare your drink with professional care. 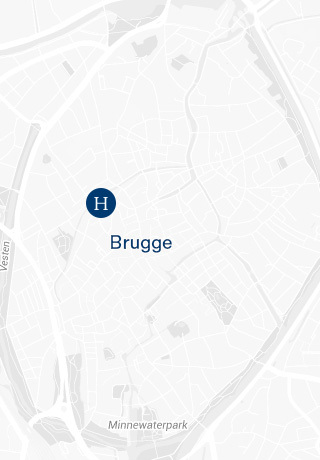 The garden and terrace of our hotel in Bruges are best described as an oasis of calm in the heart of the city ... We invite you to spend some time in the garden when the weather is nice. 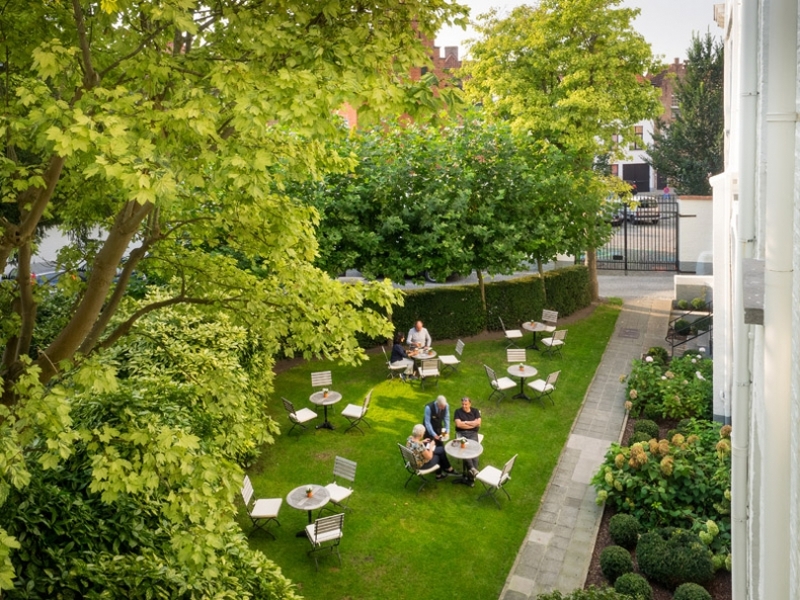 The nice, pleasant private garden and terrace at our hotel in Bruges is the perfect place for reading a book, catching up with friends or simply sipping a delicious local beer or tasty cup of coffee. Can you think of anything more delightful than taking the time to relax in these calm surroundings after strolling around Bruges the entire day? 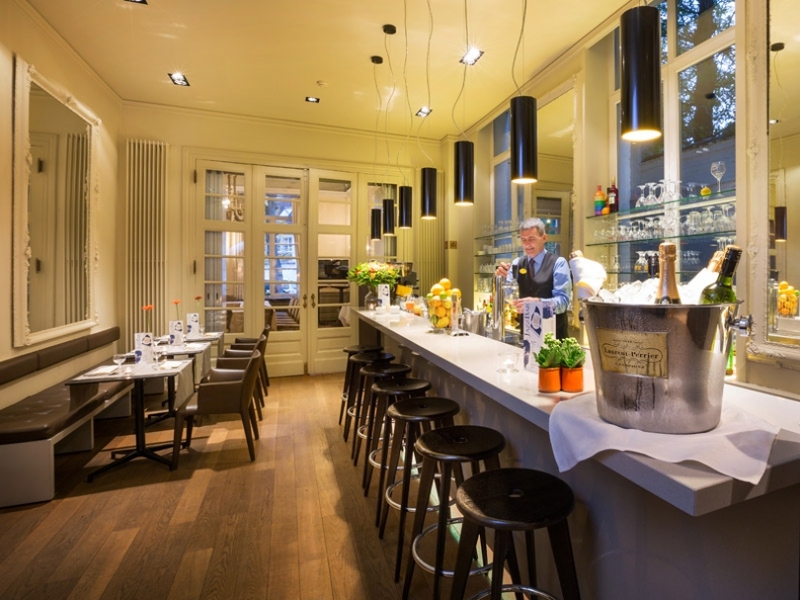 Hotel Navarra looks forward to welcoming you to our hotel bar every day from 3.30pm. Hotel Navarra likes to cater to your every need in a pleasant atmosphere, with a nice cocktail or a whiskey and the accompaniment of some background music. If you spend some time at the jazzy hotel bar or on our garden terrace, our excellent, helpful service will ensure that everything is exactly as you like it.